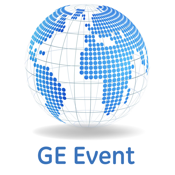 With the GE Event App for iPad you can see how GE Intelligent Platforms is bringing the Industrial Internet to a location near you. Discover the power of high performance technology solutions at our upcoming Connected World events. See how the Industrial Internet is connecting data, machines and people. Learn from our industry experts, network with peers, and see how connectivity is changing the way we solve the world's toughest problems.